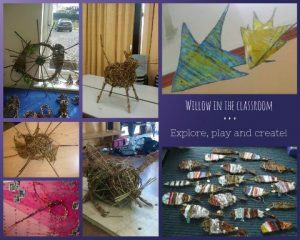 Our staff can join you in the classroom (or outdoors) to create individual or small group sculptures and artworks. Lighthouse Keepers Lunch- create a basket for the keepers lunch! Each Peach Pear Plum- create a cradle for baby. And much much more. Do you have a topic in mind? We can create bespoke projects to suit you and your curriculum. You can read what other schools have done here.